Establishing body awareness, proprioception, strength and flexibility will positively impact your running motion. A controlled core will allow the free movement of your appendicular skeleton allowing fluid movement, increased speed and power. Having worked closely with the following companies, experiencing first had the services they provide and the benefit this has upon running, The Running Coach confidently lists trusted partners below who we recommend for guided expert tuition in Yoga, Pilates & Stretching/Flexibility Programmes. 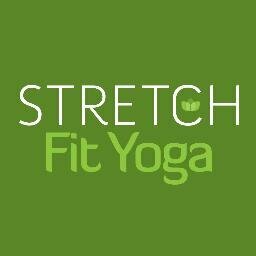 Specialists in stretching and improving flexibility, Jade & Nolan are prominent experts in stretching here in the UK. Our stretch methods and exercises are specifically designed to stretch muscles, tendons & fascia, strengthen true core muscles & reverse the effects of stiffening and tightness by restoring the body to its youthful, free and most comfortable state. Many athletes benefit from Stretching but so few know how to stretch correctly, effectively or simply don’t realise the great importance on stretching or take time to really focus on flexibility. This results in two things, injury and eventual retirement from your beloved sport . Our classes and workshops have helped many athletes and sporting professionals achieve more movement, flexibility and comfort in their bodies and have kept them going for longer in their chosen sports with less injuries and physical ailments. See our testimonials page to hear what athletes and coaches say about our work. So if you want feel fantastic inside your own body again, look great and be free of tension and stress in the body contact us for more details. We have classes in Long Eaton and Chilwell, Nottingham and teach regular workshops throughout Nottingham & Derby. We also teach workshops for specific sporting groups, private classes and Corporate Yoga / Stretch classes.